Ernst Ludwig Kirchner (it. 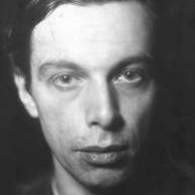 Ernst Ludwig Kirchner 6 may 1880, Aschaffenburg, Germany – June 15, 1938, Frauenkirch-Waldboden, Switzerland) – German artist-expressionist, founder of avant-garde Association "Bridge", the first Association declared the principles of expressionism. Ernst Ludwig Kirchner founded the art Association "Bridge" with three friends. It was the first avant-garde group of artists, formed and otpechatky own Manifesto in the form of engravings. They announced break with academic art and the beginning of a Grand building – a virtual bridge from the medieval, Gothic art directly into the present, from Durerand Cranach the elderbypassing has long been a lifeless academic tradition to their own search for a new language in painting. Since 1918, the artist lives in Switzerland. He will rent a room in Davos, builds the furniture and will be a long time to decorate her thread, your doctor write that lives calmly and steadily, drawing designs patterns for carpets. His painting is bright and more abstract. Exhibitions of works with huge success held in different cities of Germany and Switzerland, he was elected a member of the Prussian Academy of arts. Kirchner now I never felt healthy – and it was worth the effort to maintain emotional and physical balance. Depression and pain attacks alternated with periods of rest. But even from afar, from abroad, and long before the huge disaster he senses imminent danger. In 1933, with the coming to power in Germany the national socialists Kirchner loses everything: his paintings confiscated from museums, he is expelled from the Academy after the show "Degenerate art"works are not for sale. "We created a "Bridge" to support native German art, made in Germany. And now it is declared non-German. My God, this is upsetting! "writes Kirchner. In 1938 Kirchner knows that Germany invaded Austria, and horror waiting for the capture of Switzerland. In the courtyard of his house he'd kill himself, not doubting that the world will be another tragedy, another war that he is no longer able to survive.